Dr. Shamlian creates customized treatment plans tailored to her patients' needs and lifestyle. From braces to Invisalign, Dr. Shamlian offers options for every age, style, and budget. My goal is to give patients a beautiful smile. I love seeing how their self-confidence grows as their smiles become straight and healthy. Adults, teenagers, and pre-teens who need braces in Fresno and Clovis have a new choice for quality orthodontic treatment. Orthodontist Tamara Shamlian, DDS, MS, joined the Coast Dental practice in Clovis and two SmileCare practices in Fresno. Dr. Shamlian offers a wide variety of services including early orthodontic treatment for children, traditional braces, clear ceramic braces, Invisalign(R) clear aligners and ClearCorrect(TM) aligners. Both SmileCare and Coast Dental offer complimentary orthodontic consultations, so it's easy to find out how braces or aligners can fix problems such as crowding, crossbite, open bite, protruding teeth, teeth that erupted in the wrong place, gaps between teeth, and jaw misalignment. Dental insurance often does not cover the cost of braces. For a limited time, Coast Dental and SmileCare are offering special savings on both traditional braces and clear braces. Monthly payments start at $99 with no money down. * For special offer details and to make an appointment for a complimentary braces consultation, call 1-800-32-SMILE. The American Association of Orthodontists recommends children visit an orthodontist by age seven to spot any problems with jaw growth and emerging teeth. However, orthodontics aren’t just for kids anymore. One in five orthodontic patients is an adult. "My goal is to give patients a beautiful smile," said Dr. Shamlian. "I love seeing how their self-confidence grows as their smiles become straight and healthy." 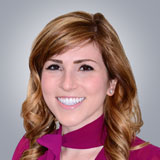 Dr. Shamlian was born and raised in Fresno, CA, and earned her Orthodontics certificate and Master of Science degree in Craniofacial Biology from University of Southern California. She received her Doctor of Dental Surgery degree from New York University. She is bilingual in English and Armenian and is a member of the American Association of Orthodontists, American Dental Association, Pacific Coast Society of Orthodontists, California Dental Association, and Fresno-Madera Dental Society. Coast Dental and SmileCare practices accept more than 200 types of dental insurances, plus offer financing plans. For more information about braces, clear aligners and other options to straighten crooked teeth, please visit CoastDental.com or SmileCare.com. Coast Dental, P.A., with its professional associations, is one of the largest providers of general dentistry and specialty dental care in the United States with affiliated practices operating as Coast Dental and SmileCare in Florida, Georgia, California, Nevada and Texas. Coast Dental Services, LLC is a privately-held practice management company that provides comprehensive, non-clinical business and administrative services to its affiliated practices. The company is headquartered in Tampa, Florida.